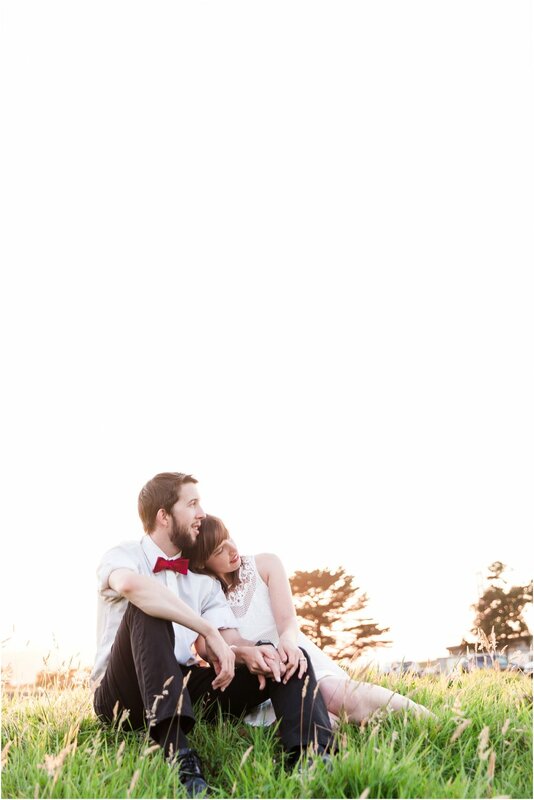 Anniversary shoots are not only a great gift idea, but a wonderful way to document your love over the years. It doesn’t end with the “i dos,” it starts with them! Beautiful wedding photos are to be cherished forever, but I love when couples decide to keep the magic going with a shoot celebrating how far they’ve come in their relationship. 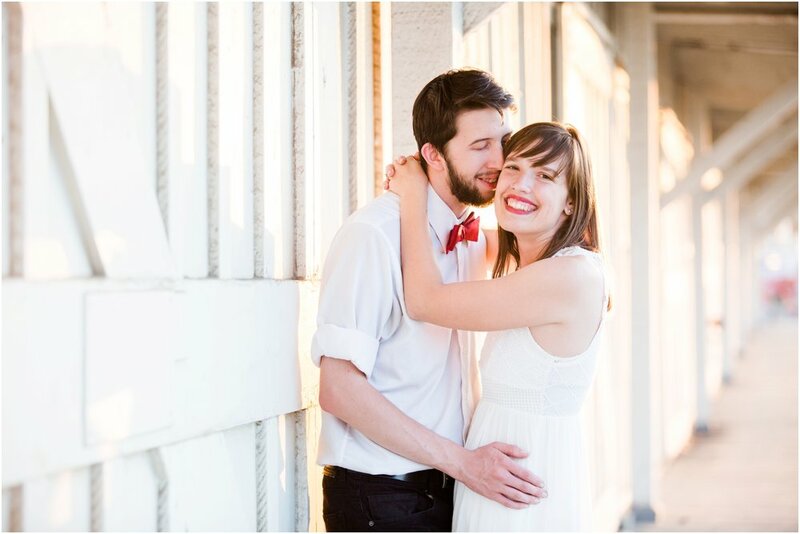 For Megan and Phillip, they are celebrating three years of dating and their first year of marriage! Everything is still fresh, new and exciting as they embark on all the firsts of married life. 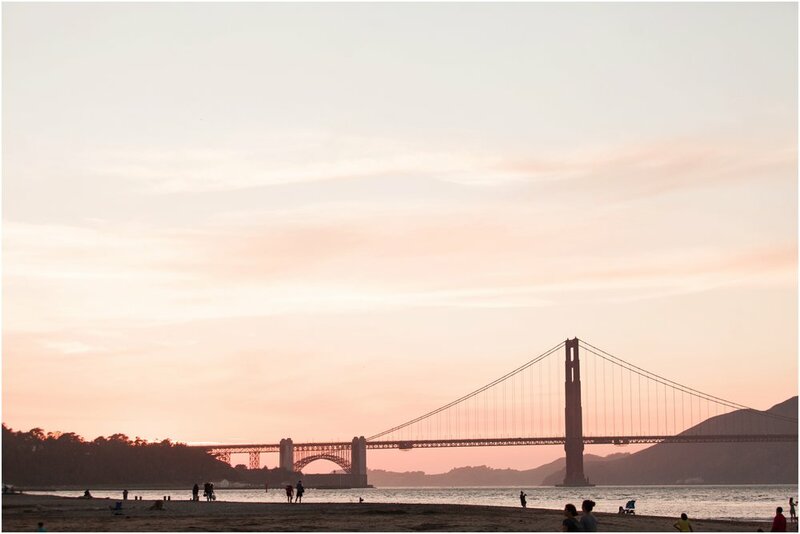 To celebrate, we decided to go to Crissy Field in San Francisco and grab some of that golden light as it dipped behind the Golden Gate Bridge. 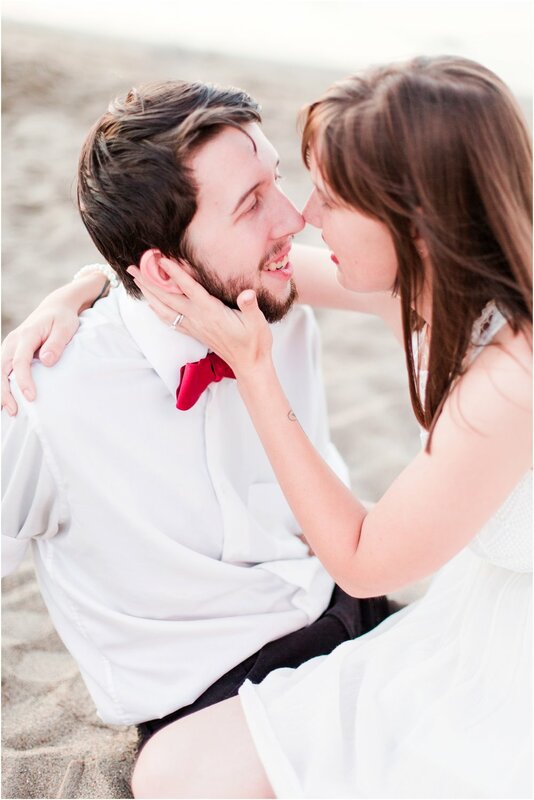 Megan wore a cute white dress and Phillip donned his signature bow tie (their wedding color nonetheless) and rocked it! 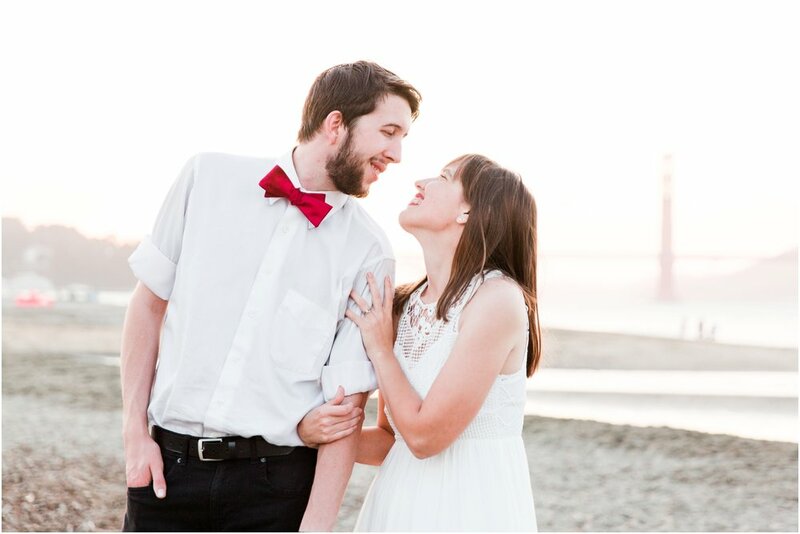 I hardly had to pose them; I just captured their kisses and nuzzles and ultimately wanted to showcase their newlywed love. Happy Anniversary Megan and Phillip and cheers to many more!